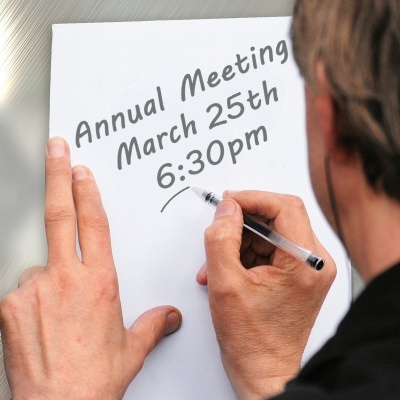 Our Annual Meeting is Wednesday, March 25th at 6:30 in the Hartland Hall at College View Church. This is were you, as a owner, get reports about the last year operations and vote for new Board Members. There will be a meal and entertainment provided for your family. Our online form to RSVP is closed. You may call 402-489-8886 for more details.